The mission of the Umpqua Community College Foundation is to further UCC's mission through the strength and generosity of volunteers and donors. Contributions from donors like you make UCC affordable and accessible to anyone who dreams of going to college and making a difference in their communities. We and our students thank you from the bottom of our hearts - see the videos below for a little more reflections of gratitude from UCC students. 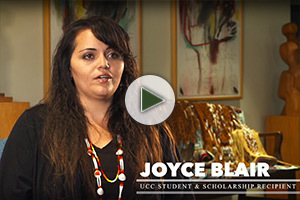 Joyce Blair shares how receiving scholarships through the UCC Foundation impacted her ability to return to school to pursue her dream. 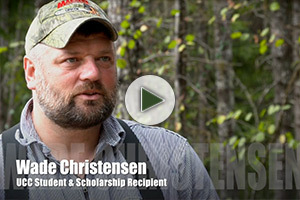 This military veteran opted to go to college and study Forestry. 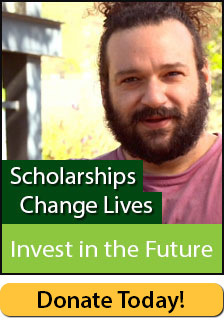 With the help of UCC Foundation Scholarships, he focuses solely on school work. After recovering from drug addiction, Grace focuses on her studies in Human Services. 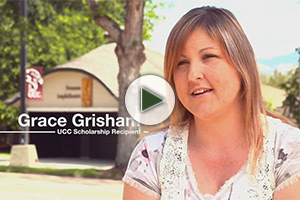 UCC scholarships played a large role in her confidence level and educational success. 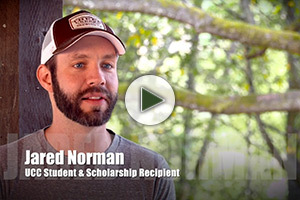 Jared took some brave steps and found a path that helps him to give back to the community through UCC's Nursing program and UCC Foundation Scholarships. 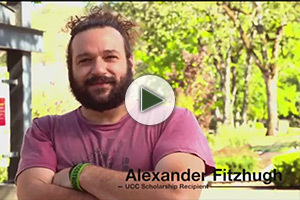 After a bad start in college as a youth, Alexander is grateful for the boost in self-esteem he gained from receiving a UCC scholarship. As a parent of a disabled child, Angelina was happy to find out about her educational opportunities. UCC has helped her prepare for university studies in Communications.